Cuba's rumba has since become a national icon almost as renowned as its cigars or amateur boxers and two years ago was designated by UNESCO as an intangible cultural heritage. Born among black slaves on sugar plantations, Cuba’s rumba has since become a national icon almost as renowned as its cigars or amateur boxers and two years ago was designated by UNESCO as an intangible cultural heritage. 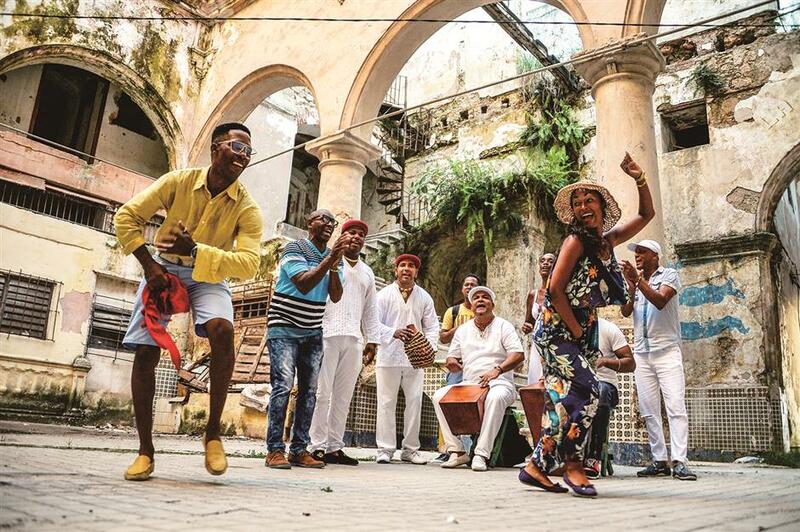 Set to a five-stroke-rhythm and the beat of hollow claves and African drums, Cubans take to the streets of Havana every year in August to celebrate their dance of seduction. And while rumba has expanded and traveled to grace the great dance halls of Europe, its essence is conserved in the blood of Cubans who keep the rhythm alive in their everyday movements. 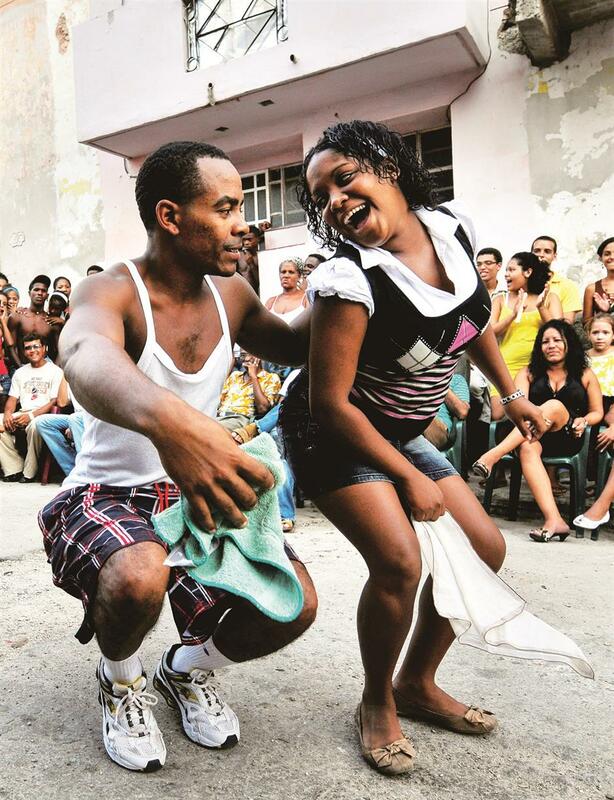 A couple dance rumba in a street of Havana, Cuba. “It’s an expression of the joy of life, created during the slavery period in the sugar plantations, in the neighborhoods, in the ports, on the railway lines,” said Miguel Barnet, president of Cuba’s writers and artists guild. It developed from the end of the 18th century through the 19th. Men, usually dressed all in white, wearing a hat and sometimes carrying a cane, move elegantly as women’s wide, brightly colored skirts flutter to their steps. The man follows and woos the woman as both move their hips and slide their arms and legs to the clave rhythm. It’s not just a performance to watch, though, as spectators often join in and allow their bodies to be swept along by the African drumbeat. To the outsider, it might look sexual and not without reason. The man at times produces a pelvic thrust known as the “vacunao” that betrays the rumba’s roots as an African fertility dance. “For me, rumba is Cuba and I’m a loyal conservationist of the tradition,” said 31-year-old Yanaisis Ordonez who graduated from the National School of Art in 2004. 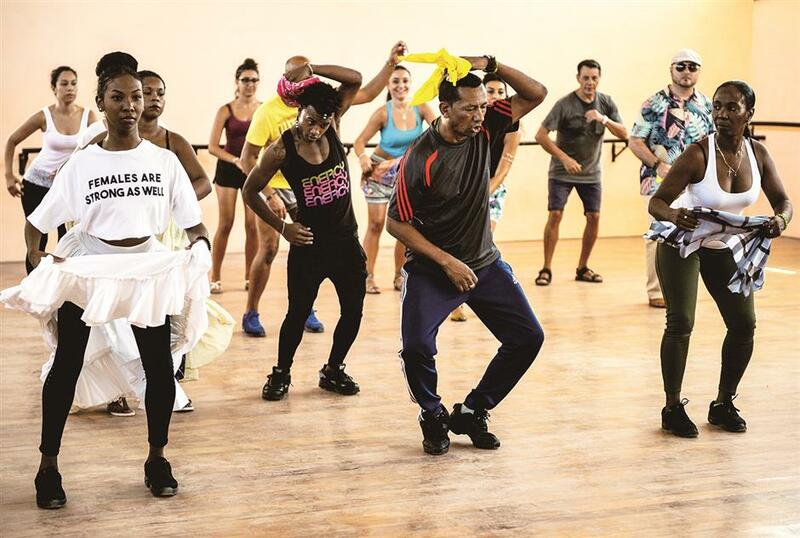 While rumba has expanded and traveled to grace the great dance halls of Europe, its essence is conserved in the blood of Cubans who keep the rhythm alive in their everyday movements. In the La Maravilla courtyard in front of the Belen convent that once owned a sugar plantation with more than 300 slaves, children watch and try to imitate the dancers’ steps. A shirtless man collecting buckets of water passes by; occasionally a youngster listening to reggaeton on a speaker comes into earshot, perhaps unaware that the beat he’s listening to shares the same Bantu cultural influence and African roots as rumba, according to music critic Pedro de la Hoz. “Rumba was born before Cuba and a long time before the idea of heritage was born,” said Barnet. When Rumba caught on, it started to be practiced in various neighborhoods and communities. “It’s a type of folklore that’s not stuck in time. It incorporates new ways and approaches, and that keeps it alive,” said De la Hoz. It radiated throughout the world through salsa, in cabaret shows and prestigious dance halls. “It’s music and dance that intertwine legacies from Africa, Spain and other parts of the Caribbean in Cuban music,” added De la Hoz. Today rumba exists in New York, Paris, Mexico and on the big screen, but also in Cuban courtyards. “There’s rumba in the great symphonic genres. But it also remains right here in the neighborhoods, where it will never cease to exist,” said De la Hoz. The rumba, a mix of African and Spanish culture, considered by UNESCO an intangible cultural heritage, is a vital part of Cuban identity and continues to sound in the various neighborhoods of Havana. Now, though, despite rumba’s “unique flavor,” it’s become a professional discipline, according to dance coach Isaias Rojas from the Superior Institute of Art. “We’ve seen amazing rumba dancers in the United States and eastern Europe,” he said. However, its heart and soul will always remain in the Caribbean. “Rumba lives in people’s daily lives, when they go to the store, to the butcher. When you walk, your body converses with and dances rumba,” said Rojas.